Welcome to the Transformation Goddess – Divine Feminine Spotlight for September! Today it’s my pleasure to introduce you to the soulful Jennifer Mizel. 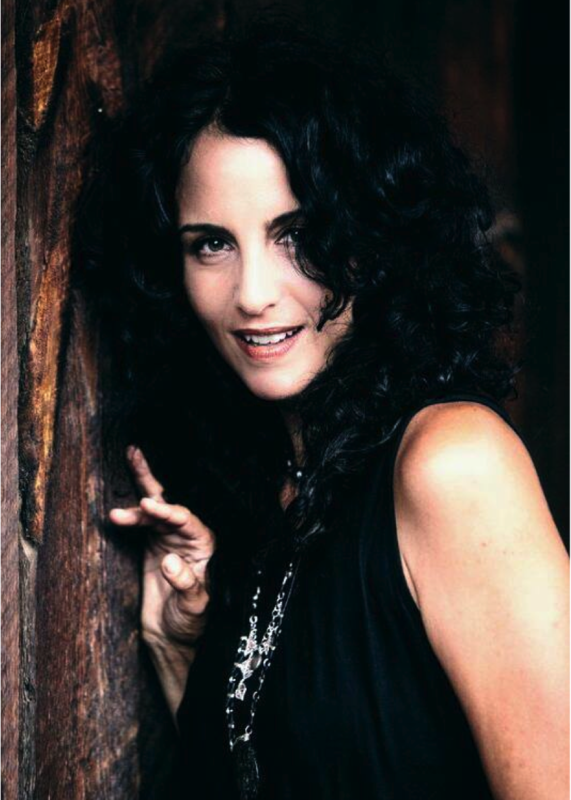 Jennifer is a transformational mentor and Modern Day Medicine Woman supporting coaches, healers and visionaries to connect with the Beauty of their Soul. A direct conduit to the field of the Akashic Record, Jennifer utilizes this Divine Channel along with her expertise in energetic healing and holistic nutrition to bring her clients into vibrational alignment with all they are called to be. You can read the condensed version here, or listen to the more intimate audio to experience and receive the full energetic connection of our transformational conversation. I know you will enjoy Jennifer’s courageous story. Talk about life-altering change… Holy WOW. 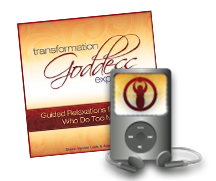 Please share a Significant Transformation you’ve experienced recently. In 2012, I experienced a spiritual awakening of the Kundalini kind, where my Inner Medicine Woman swooped in, set up shop and decided to stay full time…blasting into my life, she obliterated old things and introduced me to a beautiful new landscape of a blissful life. The past year and a half has been about finding my footing after what was a true demolition of a life outgrown…contending with the dismantling of all the prior structures of my life that were not aligned with her…my Medicine Woman, and the Sacred Soul that seeks to inhabit me…and I believe, all women who are called to a path of healing. 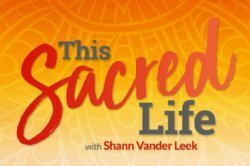 As a new level of the Sacred Feminine began to take up root in my body, old things were uprooted…especially the nearest and dearest pieces of my life…a beautiful 17 year partnership with a true soul mate in the city of San Francisco, that I loved. My relationship and my life was something I felt much gratitude for…it was a gift to experience a love that just grew deeper and more beautiful with every passing year. But the deepest teachings for me in this is the process of complete and constant surrender…to the Goddess. To Source. And the understanding that the Universe has a master plan. The past months have provided continual reflection, that the more we fight the death, the dying and constriction the harder it is for the birth, or rebirth to happen. And a constant reminder, that sometimes the highest good for someone we love, is to understand we might be called to journey along different separate paths, and that even if you have a soul connection with someone, the most sacred act of love is, can be, to live apart. This Summer I decided, the final piece of what has felt like an ongoing process of rebirth, I was called to live in the mountains of Colorado for a time…and as I did this, and removed my physical body from an old life…bliss began to inhabit me. The Universe began to rally for me. And life, simply turned on. I was shown that the process of dismantling was nearing completion…and my native land where I grew up began to speak to me. The mountains, the trees, the rivers and the valleys beckoned me. And started to call me home. And right now you find me in the process of closing the final chapters of my life in California and setting up a new life, living from the higher elevations of the Rocky Mountains, where I will do my work, my service from a place in pure communion with nature. 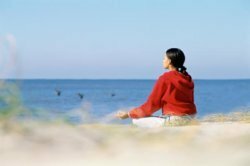 I’ve been shown, that when we truly let go, and surrender, the Universe rallies on our behalf…and that surrendering doesn’t have to mean being consumed in the undertow. It can mean, that when we trust, life gets to happen with more richness, more depth, more beauty, more fun…it is pure bliss! It’s just a matter of allowing the clean-out to take place! I see all of this work as a sacred gift…I know I have been forged in the transformational fires…so I can then hold a very strong, sacred container for my clients as they are witnessing their own recreation process. Such is the beautiful thing about growth and expansion. I wouldn’t wish it on anyone, but I wouldn’t ask for anything else! The past few years have shown me a deeper level of intimacy with myself as a women, my body and owning a new level of feminine power. It started with the death of my mother in 2012 and expanded with the spiritual awakening which allowed a new type of pleasure to surface in my body. For me and for all women there is nothing more important than connecting with your second chakra. The sacral chakra. Sacra means Holy in latin. 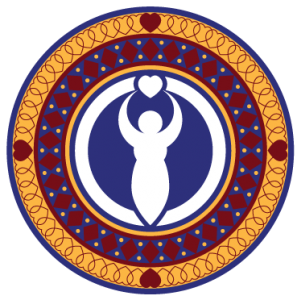 This is the most holy point on the body, it is the seat of our power as women and for most of us, in some way we are cut off from this part of our body, either through trauma, inherited beliefs or millennia of female oppression. The thing that has gotten me through my own rapid feminine embodiment and that I recommend to those clients in the deeper work with me is to begin a deep exploration of the sacral chakra and tune into it. The way to explore this part of our body, nourish it, turn it on, and feed it is purely through inhabiting a life of pleasure. When we do that, through enjoyable experiences, self-care or self-pleasuring we feed this chakra. It’s like the fountain of youth, we create a flow of Chi, or energy that fills our pelvic bowl and then becomes the life force of our body, a catalyst for our own creativity and a powerful magnet for pure abundance and pleasure in our life! I start all things in my life with ritual. Every project, every goal, ever lunar cycle, ever group call with clients. Without ritual we don’t anchor in the intentions of where we want to go. It is like ritual puts the Universe on alert for where we want to go in our life. My favorite rituals are always honoring the moon…the cycles of the new moon, the full moon and applying those principles to how we operated during the day, during the month or completing a project. When we realize the waxing and waning energies in our life, then it automatically puts us in a flow with the sacred feminine and allows for a deeper level of trust. All rituals that connect us with our body as women are absolutely critical. I encourage all of my clients to inhabit and ritualize their own pleasure…creating daily practices to stay in contact with your most sensual self. That can be through massage, enjoying nature, taking a bath…any form of “self-pleasure” that connects you with your body. This feeds that sacral chakra, allowing more Shakti energy into our body and our life. For me it is a reminder that we are never holier than thou. That life and the sacrifice of inhabiting this sacred work can be very humbling. But for the all sacrifices we have the potential for great rewards. When we step into a process of awakening and push the pedal to the metal on our own growth and expansion we are continually looking at the layers that need to be stripped away…What things of safety are you clinging to? What aspects of your life do you need to let go of? It is a perpetual process of death and rebirth. And both can be messy. It is always a journey of surrender, you will never be perfect, you always have something to learn…a new phase, a new death and a beautiful new life that is better than what you are leaving behind. It’s not all rainbows and unicorns all the time. But it is beautiful. And for me and what I share with my clients…is it ALWAYS gets better. When we bow to it. Let go. Trust it. Honor it. And realize…it is not about “us,” but rather opening the valve, and getting out of the way, so the Divine can come through us and out into the world. P.S. 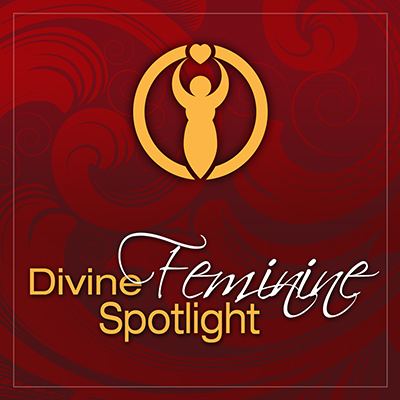 If you enjoyed today’s conversation, visit the Divine Feminine Spotlight Series library to meet all of the transformation goddesses who’ve shared their wisdom and give aways in our popular podcast interview series. Please share the LOVE Beauties! Dearest Shann, it is always a blessing to connect…and thank you for holding a sacred space at this powerful time. Much much love to you magnificent goddess! This is such a beautiful piece. I love the energy, beauty of feminine power that shines through this interview…thank you for sharing! Wendy, Thank you so much for listening, beautiful light! Surrendering to truth has become easier and easier for me. It is the only thing that truly matters to me. And sometimes that has meant, like for Jennifer, leaving a life that appeared to be working well, but did not acknowledge the deepest truth that was emerging. Bravo to Jennifer for listening and following. And to you for a wonderful expression! Here’s to living your truth, rocking your passion and reveling in your divinity! Laurie! Thank you so much for being here, for listening and sharing your own truth. Namaste and beauty to you dear light! I agree. Jennifer is such an extraordinary woman. I’m so glad so chose to step into the spotlight. Chara, love, thank you so much. To think that something resonated is powerful beyond measure. Often, I find that sharing our truth and our vulnerability can be the most magical medicine. Much light to you dear beauty! “The Universe began to rally for me. And life, simply turned on.” I’ve found that this usually happens when we start walking in the direction we feel truly led – toward whatever dream or action we hope to achieve. Things just seem to fall in place along the path. When things stop falling, it usually means I’ve veered off course. Thank you! This is why it’s so important to practice going with flow and trusting the universe. The Universe is such a powerful guide…we can kick and scream and resist it so. Love that your experience is the same, in the trust, in the surrender, the not knowing…and that when we let ourselves be led, profound experiences begin to magnetize toward us. light and love to you beautiful Candi. Thank you for sharing.